On the heels of our first ever Pipe Night on Half Ashed (Episode 088), I figured I’d post up a review of the tin opened for the show. What we’re looking at is a roughly 9 year old tin of Dunhill’s Light Flake. Today, this blend is today marketed under the moniker “Dunhill Flake.” Some European markets have prohibited use of the word “Light” on tobacco packaging. At the time this tin was produced, Murray’s of Northern Ireland was the manufacturer. The blending subsequently went to Orlik, now owned by Scandinavian Tobacco Group. I have not been in a buying mode for a few years, but may go out of my way to track down a current tin just for kicks. Comparing a sample of this age to current production – even the same blend – would be fruitless. 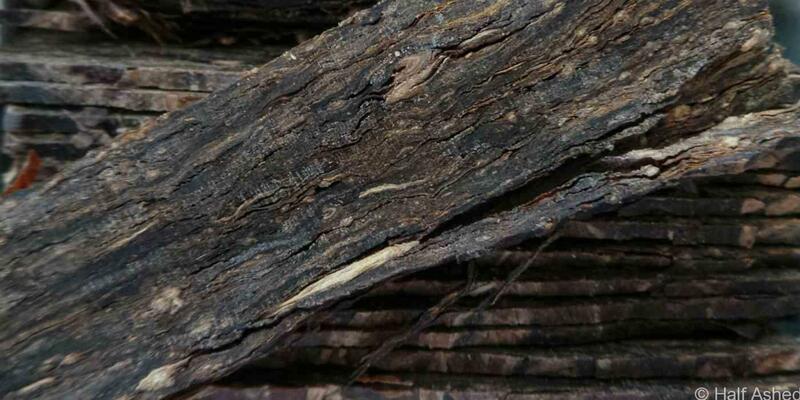 Dunhill Light Flake (DLF) does not bear its name in reference to its potency, but color. In terms of strength, it is well within the medium spectrum, although at times on the heavier end from center. Color is golden and bright, but will darken with age as this particular tin has. At first pop, the aroma is entertaining; filled with some honey and graham cracker notes. A darker, more floral aroma sallies forth for a few moments after rejoining the airy environ. The flakes are beautifully stacked on edge in the tin, but prove difficult to extricate intact. They are loosely bound, but will hold enough to fold and stuff if that’s your desired packing method. I typically prefer to rub out flakes in all but the windiest of conditions, so there’s no issue for me. Moisture is quite acceptable, and my efforts have proven effective at keeping the seal unbroken before time to smoke. I find DLF to consistently offer plenty of bright, sweet flavors at any time of day or night. While it isn’t in the business of knocking your socks off with sharp or flashy flavors, it is unfailingly entertaining. Hay, oats and honey abound, without becoming cloying or even overt. Tongue bite could become an issue if you’re prone to over-puffing, but to be frank DLF is not on my list of common offenders in this respect. It is typically well behaved. The floral aroma and supple feel are almost as enjoyable as the actual smoke itself. Almost. The blend can be enjoyed right out of the tin (although I tend to let it dry for just a few minutes), will stand up to a number of relights before acridity creeps in, and can be held over for an encore should the need arise. In fact, day-after DGT (Delayed Gratification Technique) can be very pleasing in its own right. Truthfully, one of the things I love most about DLF is its flexibility and ability to shine in most any set of conditions; shape and size of bowl, wind, stillness, day or night. Dunhill Light Flake will work in just about anything able to keep an ember together, hanging from the face of any level smoker who has the aptitude to mind his cadence.